Earlier this week, the editorial board of the conservative Cincinnati Enquirer penned a piece highlighting the success of the Cincinnati Preschool Promise Program. The program was established in 2016 after Cincinnati residents approved voted in favor of a measure to make high-quality preschool availability to all children. The program has provided tuition assistance to 1,337 children, and a total of 82 preschools were brought into the program, giving families a variety of high-quality options. “What you can’t see may not be apparent for a few years down the road. Preschool Promise ultimately will be judged not by how many students it is able to enroll, but by how many students go on to graduate high school, attend college and/or obtain gainful employment and careers,” writes the Enquirer editorial board. 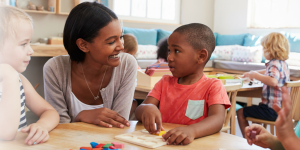 They also provide recommendations for making the Preschool Promise Program even stronger, including: increasing access and affordability, increasing communication and awareness among the community, implementing tools for measuring success, and ensuring programs are high-quality. High-quality early childhood education is an investment that creates upward mobility for a child through increased achievement, and gains for society in increased productivity and reduced social costs.